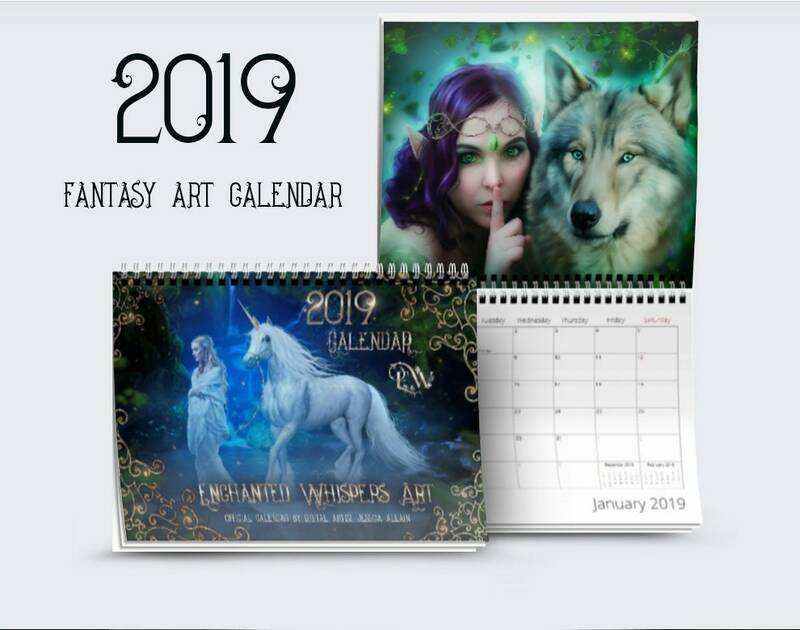 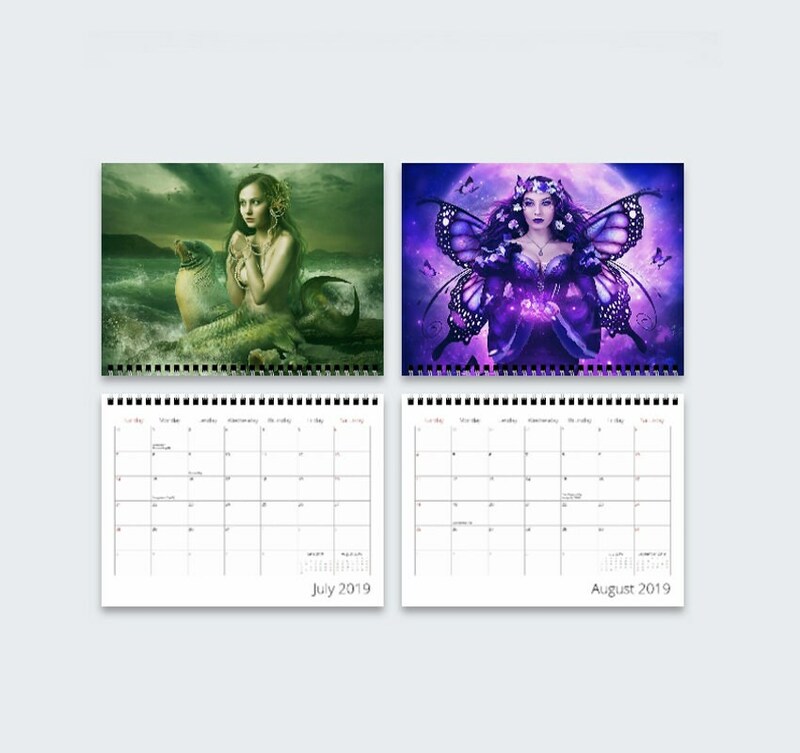 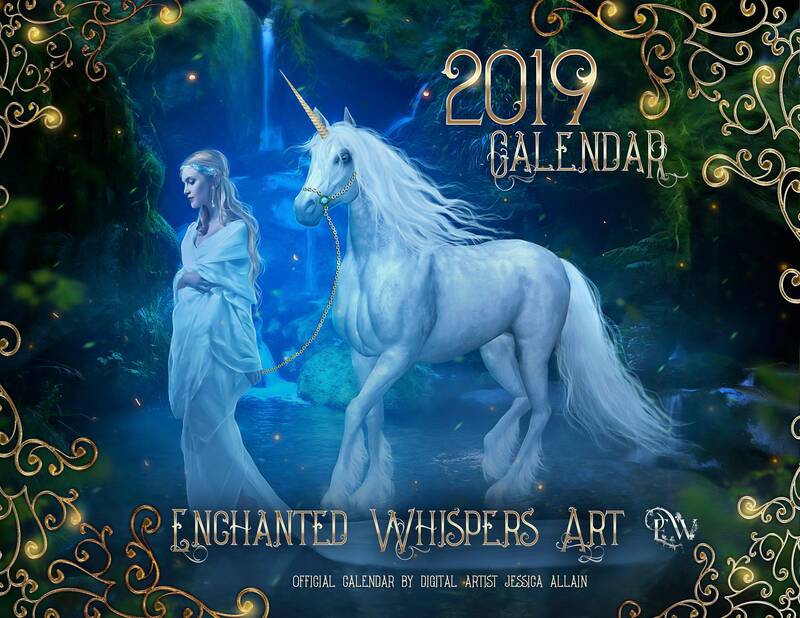 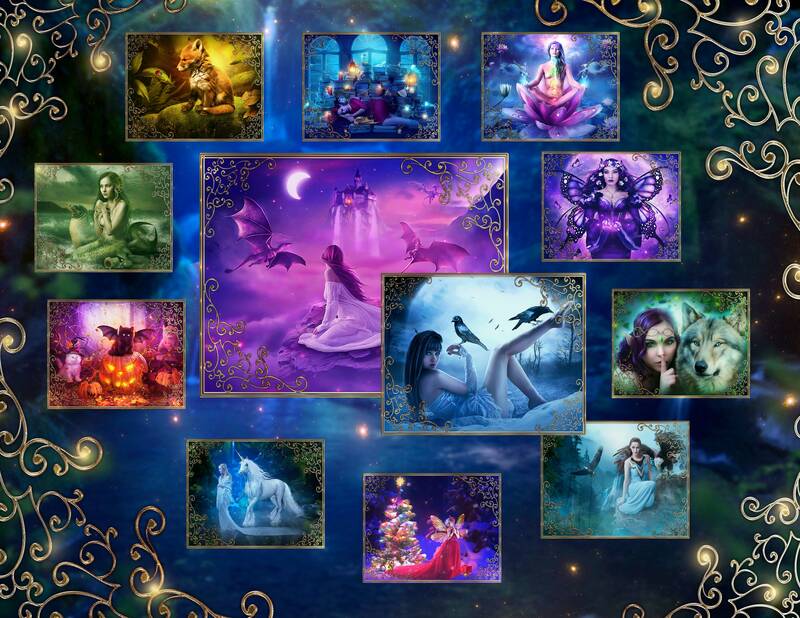 Official Enchanted Whispers 2019 fantasy art calendar. 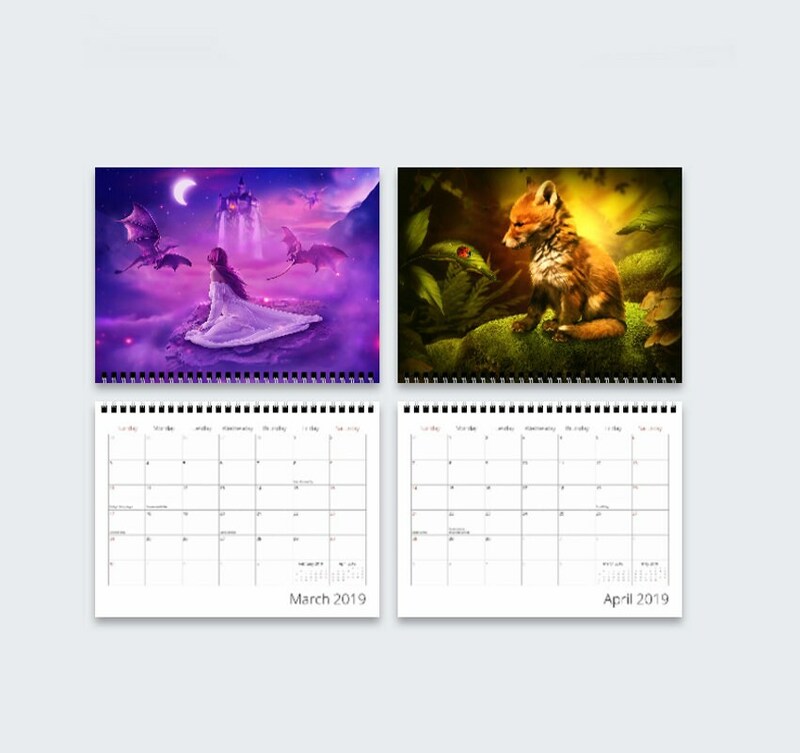 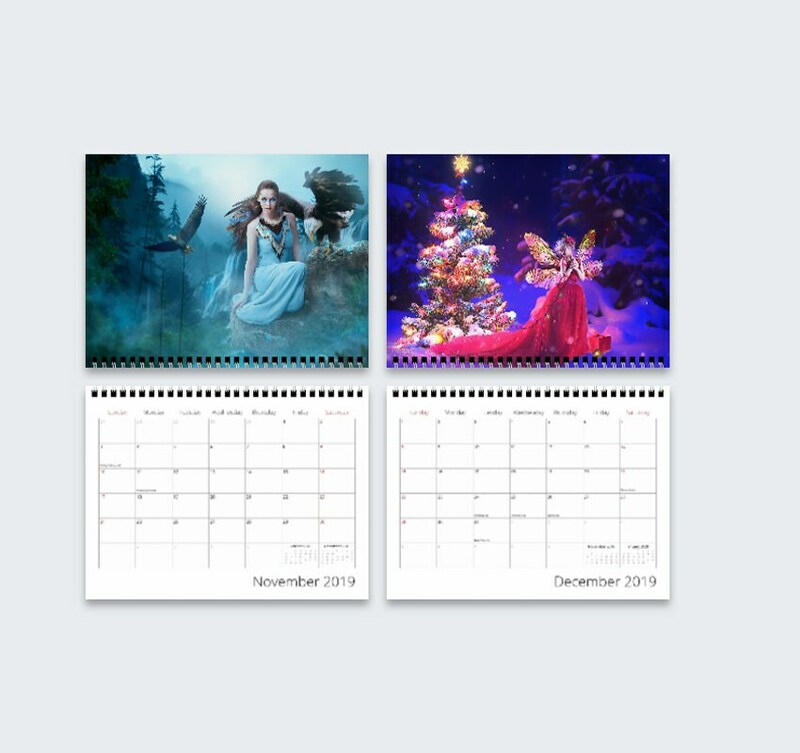 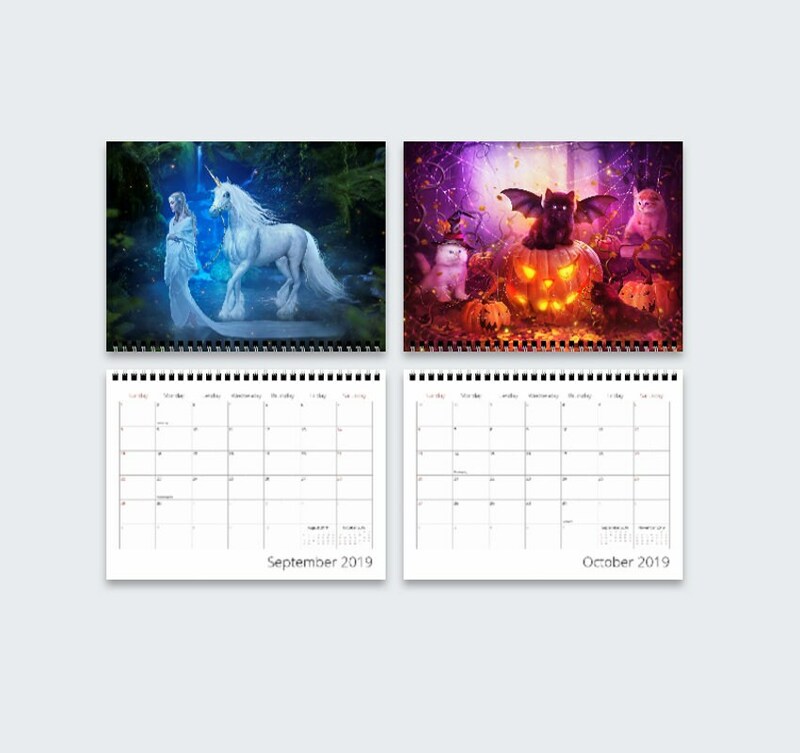 Calendars are made to order. 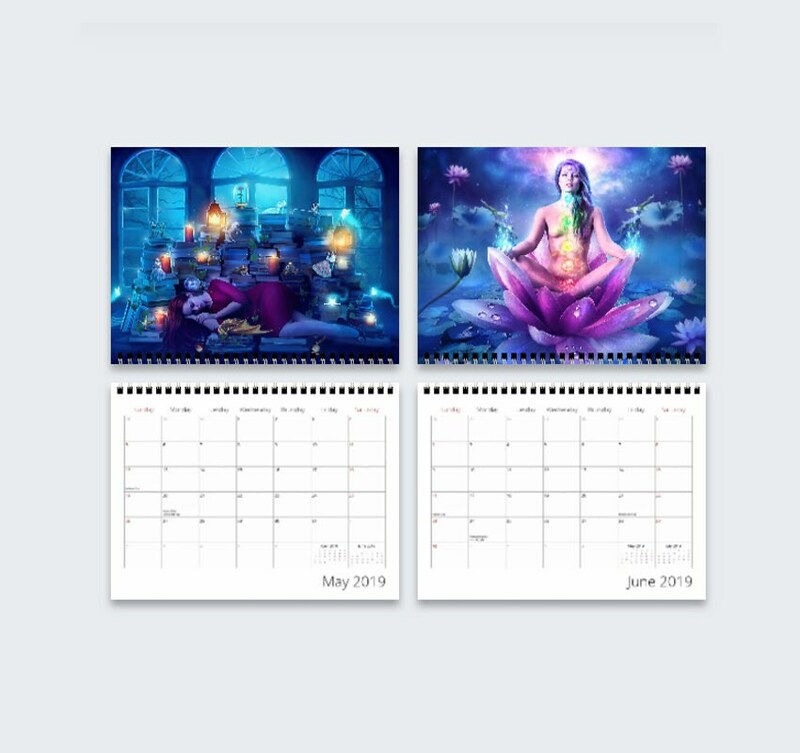 This spiral bound wall hanging calendar measures 8 1/2 by 11 inches, the prints are printed on high quality matte paper stock.